In shaping this board we started with the same template as the comp mal, added a touch of width in the nose and a little more hip a quarter up the board to help with the rail to rail transitions, pulled the tail into a nice squash and so the modern was born. The board combines similar characteristics with a low conservative rocker for speed and power, rail to rail nose concave leading into a slight rolled bottom through the middle and vee out the tail. Soft 60/40 rails hardening at the tail resulting in smooth turns. 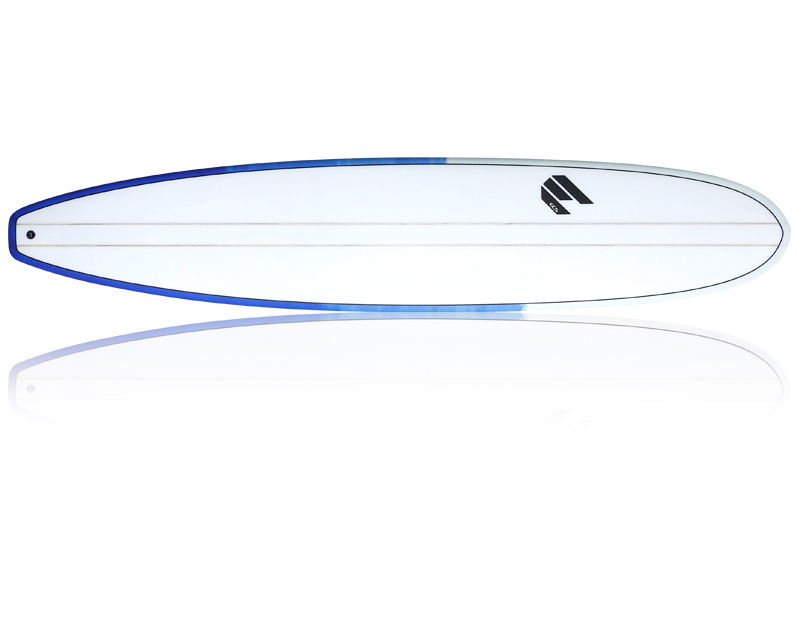 A great paddler, fast, smooth board and one of our favoured models. 6+6oz deck and 6oz bottom. Polished finish. These boards are resin tint therefore the colour and wash may vary slightly from board to board.